Today’s children seem to be spending more and more time on screens and less time on playing with real toys. This can result in weaker muscles in the hand and fingers. Developing hand strength in children is super important for everyday functional skills. Kids need to have the adequate muscle strength to use the monkey bars, hold a writing utensil, use school supplies and get dressed. Children can work on improving grip strength through play and everyday activities. You can also add this fun FREE printable hand strengthening exercise game to work on building up those muscles. Download the game below and print it on white or colored paper. Each player will need a hole punch. Cut out the two rectangles on the game page. Give one rectangle and a hole punch to each player. 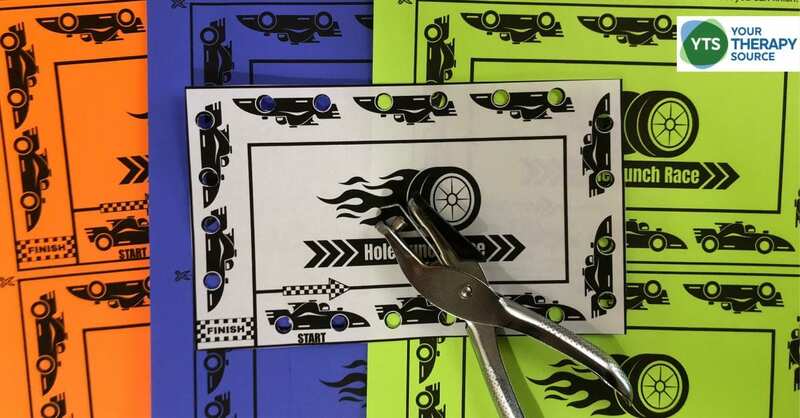 On GO, use a hole punch to create holes in each of the tires. The first player to get the finish line with all the tires punched out is the winner! 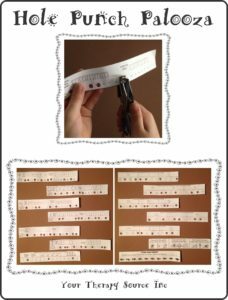 If you only have one player or one hole punch, record your time to see how fast you can finish. The player with the shorted time is the winner. For solo play, complete the race a few times to see how fast you can finish the race. Need More Hand Strengthening Exercises? Using a hole punch for other activities will help to improve grip strength even further with all that squeezing. 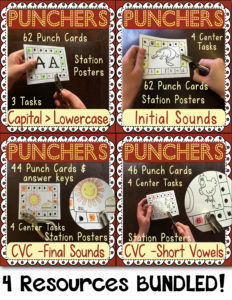 Download this HUGE Hole Puncher bundle pack to work on hand strengthening with ELA standards. 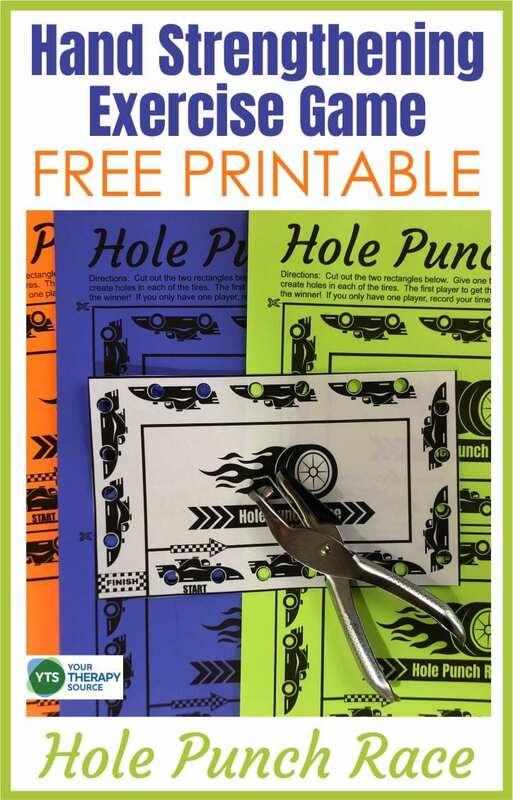 Check out Hole Punch Palooza to also encourage: hand strengthening, handwriting and drawing practice, visual discrimination skills, visual motor skills, right/left discrimination and bilateral coordination. 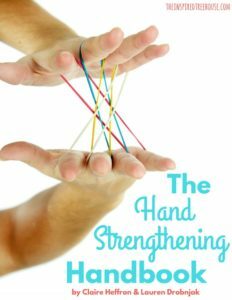 Looking for MORE easy, fun ideas for hand strengthening activities for kids that require little to no equipment and no, extensive preparation? The Hand Strengthening Workbook here. GRIP STRENGTH OF CHILDREN – WHAT DOES THE DATA SAY? Sign up to receive the weekly email newsletter and other announcements from Your Therapy Source. You will be redirected to your download. If you can not view the sign-up box send us and email and we will send you the freebie. 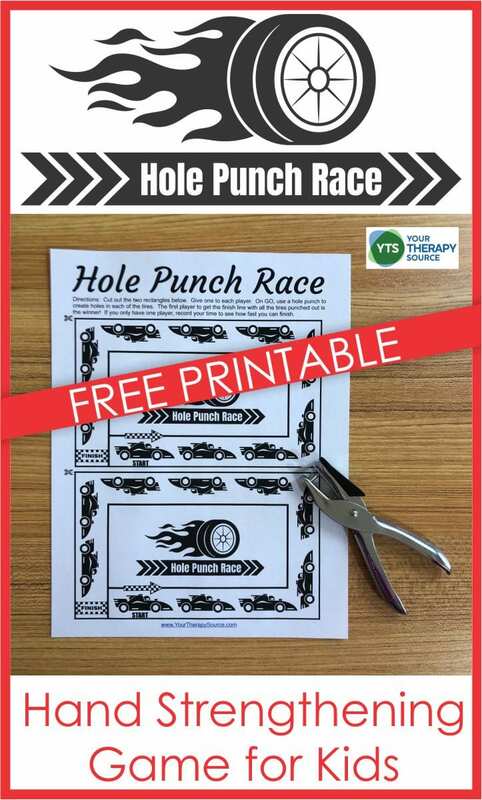 Please reference this Hole Punch Race freebie.